Flooring Distributor, Retail Dealer, Installation, Maintenance, Replacement & Repair Services Our Vision, is to create the greatest customer care program, ever! Our Mission, is to Build a sustainable company by creating alliances, networks, and building relationships with other like-minded entrepreneurs as a community of business. 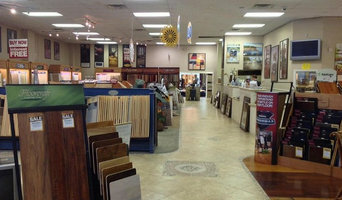 To Educate customers about the flooring industry from manufacturing, distribution, sales to consumer purchase. To Present our company as a resource for the development of our community, our state, our nation and our world. To Partner with causes & programs to support and encourage the general public. Poppell Brothers Interiors, founded in 1964, is one of the largest floor covering dealers in the greater Savannah market, and we pride ourselves in being its most reputable. It is owned and managed by four brothers: Gene, John, David and Allen. The company specializes in the design, purchase and installation of medium- to high-end broadloom carpeting, rugs, hardwood and engineered wood floors, sheet vinyl, VCT, floor prep and all flooring accessories. We are the exclusive Savannah dealer for StainMaster Ultra Life Carpet, the most recognized brand name in the carpet industry. StainMaster features a proprietary 20-year Wear and Performance Warranty combined with a No Stain Guarantee. Use of StainMaster cushion adds another five years to its powerful warranty. We carry a vast inventory of hand-woven Oriental and Mid-Eastern rugs. We also feature high-end machine made rugs from Karastan, Shaw and Tuftex. Poppell Brothers Interiors proudly features such well-known manufacturers as Shaw and Mohawk. We take care of the customer from measure to installation. Installation of all Poppell Brothers Interiors’ carpet carries a lifetime warranty; that is, if we install the carpet, our labor is fully guaranteed for as long as you own the carpet. 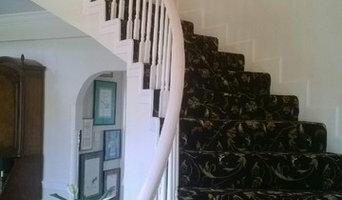 Leave carpet installation to the professionals. There are lots of moving parts that go into installing carpet in Statesboro, GA, and you’re better off letting qualified Statesboro carpet installers handle each one of them. From accurate measuring, to precise installing to removal of old carpeting or flooring, a Statesboro, GA carpet installer will know all of the ins and outs of getting the job done correctly and efficiently, so that you can peacefully enjoy the new product underfoot without having to lift a finger.